So You Want to Be a Self-Taught Home Seller? Summer is your best bet if you’re on the fence about when to sell something prospective buyers would have to travel to see - case in point: your house. It’s during these months that your open house will get the most foot traffic, more so than later in the year, so, yes, your vacation plans will have to wait. But you knew all that, seeing that you’re planning on going it alone and striking it big with the sell, right? In case you’re not sure whether this renegade free-agent path is the right fit for you, here are some pointers that can shed some light along the way to closing the deal and will ideally help make up your mind. Putting your house on the market, being as important a decision as it is, also usually comes with huge, paralyzing jitters, which is why most people prefer to use a real-estate agent. Alternatively, some choose to take the road less traveled, which, if done right, might be more rewarding, financially speaking - at the end of the day you’ll be just as well pocketing the 6% from the sale that would have otherwise gone to the agent. To make the leap from wishing it so to actually getting your wish, the first thing you’ll need to do is zoom in on the exact sum you’re expecting to get from the sale. If you intend on using the money from the sale for the purchase of a new home, do your homework on what your current home should fetch you in order to achieve that switch. You can use online tools to calculate the mortgage rate on the house you have in your sights, then apply for a bridge loan, against the equity in your current dwelling, for the downpayment. In order to list your house on the Multiple Listing Service, you’ll need to come up with the right asking price, which you should set 1) in accordance with the price tags on some other houses in the area which you’ve previously checked, and 2) a tad higher than the sum you have in mind - this will leave some wiggle room for negotiations. Remember that, while not using an agent will definitely save you money, the buyer’s agent commission will still shave some off the final bounty. Aside from the legwork entailed by comparing and contrasting your house with others in the neighborhood, which will give you a better idea of what yours is worth, there are other small details to consider - and, all counted, these will demand some effort on your part. Advertise the right way - the For Sale sign is one of the best “weapons” at your disposal, as it’s putting out there the asking price and contact details, in plain sight for every prospective buyer or agent to lock on to. Buyer’s agents will also pounce on the opportunity of a commission if you hint at it with a well-worded, brief invitation on the sign. Your arsenal should also include quality photos of both the exterior and the interior of your house - you can use these for your flyers and / or post them on real-estate websites. Instead of relying on old snapshots, take new ones, using a top-notch camera, and only show the best, most current version of your home. Before playing the shutterbug, get your house spick and span, with all the clutter either removed or relocated around the existing space for a better, more attractive use of it, with an eye to showing the place in just the right light. All that’s left for you to do at this point is get ready for visits - but not before insuring your house, in case of any mishap - and brush up on your knowledge of the law, as, like with any purchase of this magnitude, you’ll be required to sign some papers that you won’t want to just leaf through. Take your time, get a handle on the situation and some understanding of the market, and you’ll not only reach your goal, but also that feeling of fulfillment that comes from knowing you made it happen yourself. You can even go a step further and take a basic Real Estate class - it will give you some general idea of Real Estate law in your particular State. 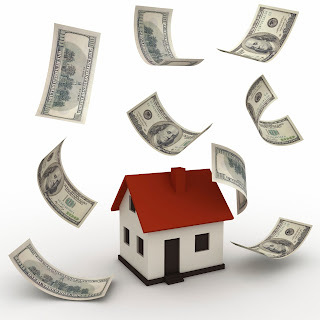 Additionally, did you know that you can deduct up to 250,000 (for single return) from the gain of your home sale?